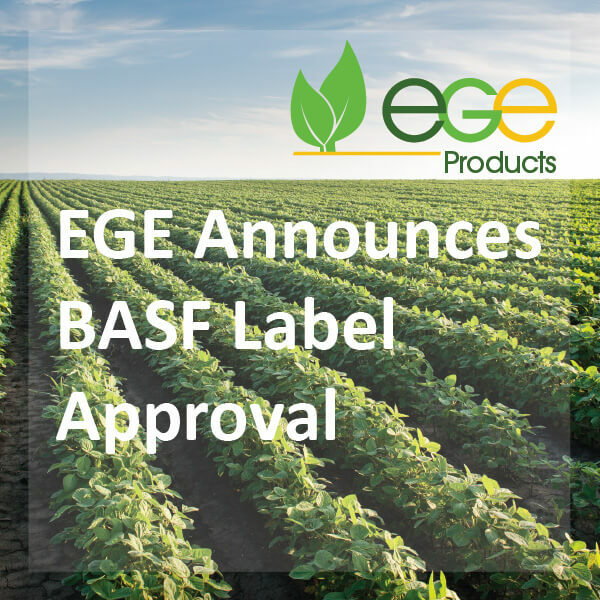 EGE Products is excited to announce that its line of industry leading agricultural products has gained label approval with BASF’s Engenia™ herbicide. The line of EGE products includes Absorb 100®, Padlock, Extend, Rivet 90™, Shackle and Shackle EXT. This agricultural technology helps to minimize drift issues, increase absorption, and encapsulate and protect chemical investments. The premium performance of these products gives peace of mind and frees farmers to use the chemicals that will work best for them with a higher percentage of the costly application staying on target. “You spend good money to get your chemicals out on your crop, and our products operate with superior chemistry and work hard to improve your spray applications and bottom line,” said Matt Jaeger, Co-founder and President at EGE. Founded in 2007, EGE is a family-owned agricultural business. After they heard about a wave of issues coming at farmers with weed resistance and other obstacles, and seeing the value in good farm practices, they wanted to help their customers with spray applications. As they expand their adjuvant portfolio, they continue to test their products on their own farm ground, and are proud to share their products with farmers across the nation and globe.